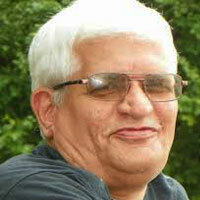 Shri Ramesh Panse (read more about him here) is a College Professor-turned -Educationist. 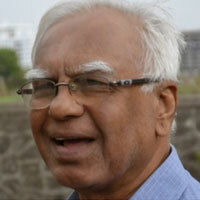 He is credited with the implementation of constructivist education on a large scale in Maharashtra. Shri Panse was motivated by the works of Tarabai Modak and her disciple, Anutai Wagh, with whom he founded Grammangal. Shri Panse has himself carried out several studies on child development and learning, which have helped in the development of the methodologies that Grammangal is known for. 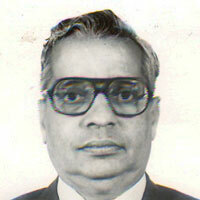 Thousands of teachers and their students have benefitted from his guidance. “Mane Kaka”, as he's fondly known in the Indian cricketing fraternity, Shri Ramesh Mane was the Acupressure Masseur for the Indian cricket team. He had studied healing techniques and got involved with the sport after a chance opportunity to treat a cricketer with a severe muscle pull. Today, Shri Mane devotes his time to social work. His optimism and sporting nature keeps the spirits high always. Shri Mandlik is a multiservices provider. He is also a model homeschooling parent who decided early on that rote learning would do more harm than good to his child, and put to practice everything that Grammangal stands for. This was at a time when homeschooling was not heard of in India. He stuck to his convictions and overcame all obstacles that stood between the system and a homeschooled child. His deep knowledge of government policies and functioning is of great value to the organisation in its engagements with the government. 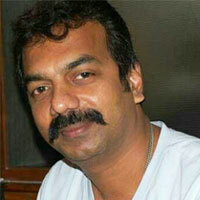 Shri Abhijeet Panse is a well-known Film Producer, Director, and Screenwriter of critically acclaimed Marathi films. 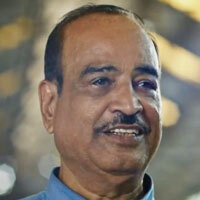 He has been a social worker for many years and is a dynamic leader and is well-versed in Marathi literature. 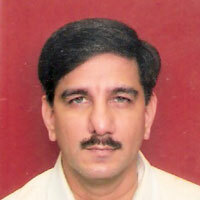 Shri Abhijit Panse’s enthusiasm and leadership abilities are an asset to the organisation. Smt. 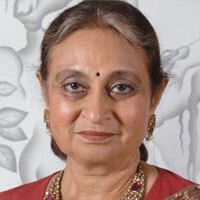 Amla Ruia is the doyenne of the famous Ruia family. She is also affectionately known as “water mother” is famous for her work on water harvesting which transformed lives of thousands of people in the desert regions of Rajasthan by using traditional water harvesting techniques and building check dams. Education is another area of interest for Smt Ruia. She helped open many schools in Rajasthan. 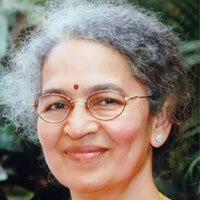 Her vision is to take constructivist teaching to all schools for the benefit of future generations. 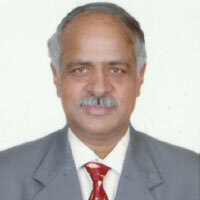 Dr Pradhan is ex-Director of, Homi Bhabha Education Center, Mumbai. He holds a doctorate in Physics from Massachussets Institute Of Technology and post-doctoral fellowship from University of Wisconsin (Madison). Dr Pradhan has always been passionate about education. He led HBSCE’s teacher development programmes and also was instrumental in designing and implementing numerous innovative training programmes in science and mathematics for students and teachers. 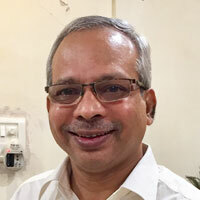 He is currently the principal editor of Maharashtra State Vishwakosh (Encyclopedia) Nirmiti Mandal for their Junior Encyclopedia in Science and Technology. 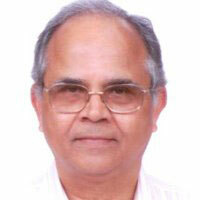 His vast experience in teaching spanning all age groups makes him the ideal leader for a learning organisation. A former Reader of Economics at Gokhale Institute of Politics and Economics, Dr.Arun Kulkarni has an extensive experience in research and consultancy and is a leading consultant with the World Bank. 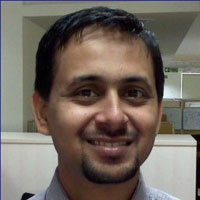 His research-oriented outlook helps Grammangal explore and experiment with innovative ideas in child education. Shri Atul Thakar is an IIT graduate & a Socially conscious entrepreneur He has been associated with other social organisations in the fields of education and entrepreneurship. His abiding quest for excellence has resulted in his firm’s products used in ISRO’s (Indian Space Research Organisation) space programs. His entrepreneurial skills and willingness to try new things is constantly pushing Grammangal to raise the bar. 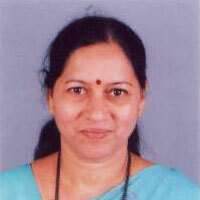 Urmilatai, as Smt Karandikar is known in the organization, is an Industrialist and social worker. She has been associated with the cause of education since decades and has worked with well-known organisations in the field of girls’education. Urmilatai has adisciplined, systematic and process- oriented approach, important for the smooth functioning of an organisation. A parent who made the extra effort to go beyond the conventional practices of child rearing, Smt Natu (Prachitai to those that know her well) and study the nuances of ECE to cope with the challenges of motherhood, Smt. 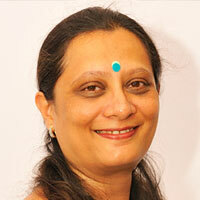 Aditi Natu, is an academic expert at Grammangal. She has years of hands-on experience in implementing constructivist educational methods, which helpedto train legions of teachers and parents inthe Grammangal methodology. Shri Sadashiv Kulkarni is artist by temperament and profession.He s deeply involved in several forms ofcreative arts – from paintings to even architecture. His out-of-the-box thinking contributes to innovation in the organization. An IT professional working with a leading software giant in India, Shri Achintya Bakre brings youth, vibrance and fresh thinking. His technical expertise provides the insights needed to keep up with the times. As a Learning Strategist, Ms. Sucheta Phadke has a wide expertise in the field of content design, development and execution of various technology-based training programs. She is passionate about using technology to bridge the gaps in early childhood as well as adult education. Shri Lale is a Scientist at Homi Bhabha Education Center, Mumbai.He is a member of Maharashtra State Vishwakosh (Encyclopedia) Nirmiti Mandal, whichis developing theJunior Encyclopedia of Science & Technologyin Marathi, a first of its kind project in India.